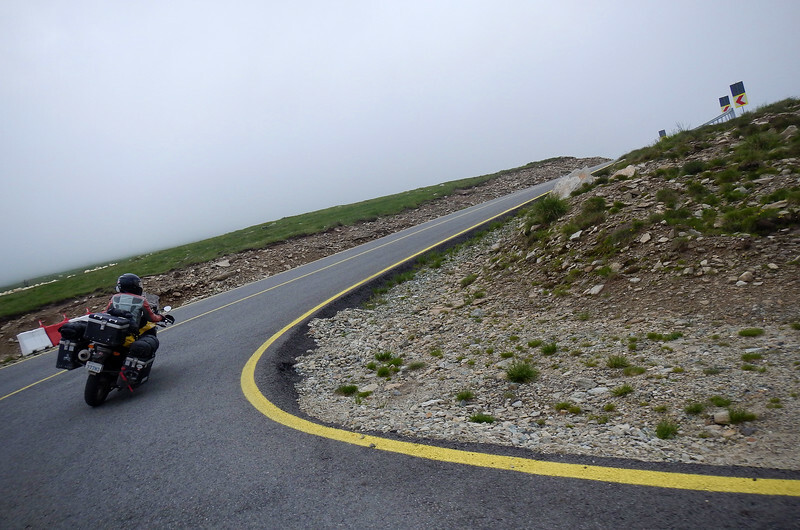 We're stranded near the top of the Transfăgărășan and my front brake seems to be seized. What are our options? Tow the bike? We're pretty far from any town or city and the cost of a tow would be much more expensive than just replacing pads + rotor - if I decide to ride all the way down. What if I disconnect the front brake and only use the rear? 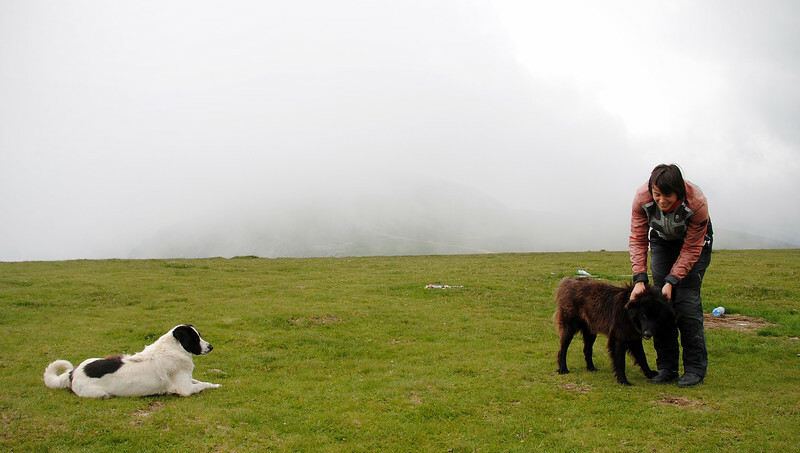 Yeah.... we're at the summit of the Carpathian Mountains, making our way down. Probably not a good idea... Just how badly seized is it? There doesn't seem to be any drag at all in the front. I decide to do an experiment. We ride on for a couple of kms with my brake light burning bright behind me, and then I pull over, using only the rear brake and downshifting to a stop. I get off and feel the front rotor. Not even warm. Could it be just a switch at the lever tripping the light then? It was getting late in the day and I don't want to spend the time to diagnose it. Especially up here with the sun in a bit of hurry to duck in behind those mountain peaks. So we make a decision. 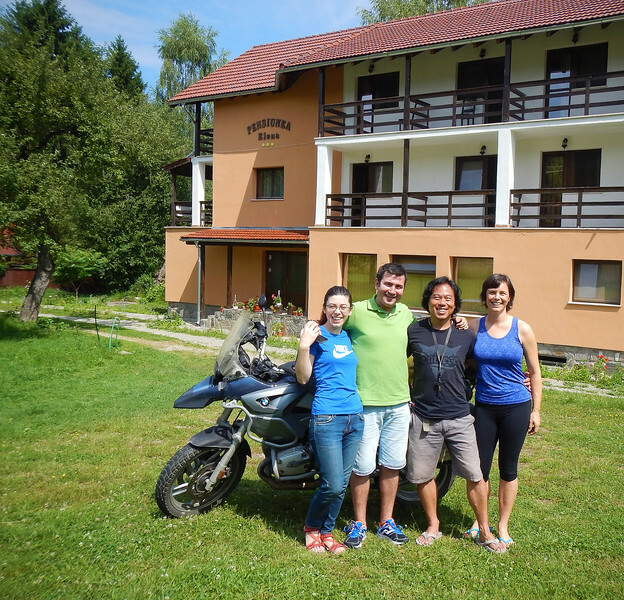 We're going to ride down the mountain to the nearest town, find a place to stay and then look at it in the morning. The ride down the other side of the Transfăgărășan gave us more twisty roads to negotiate and the sunset was promising to be quite spectacular. 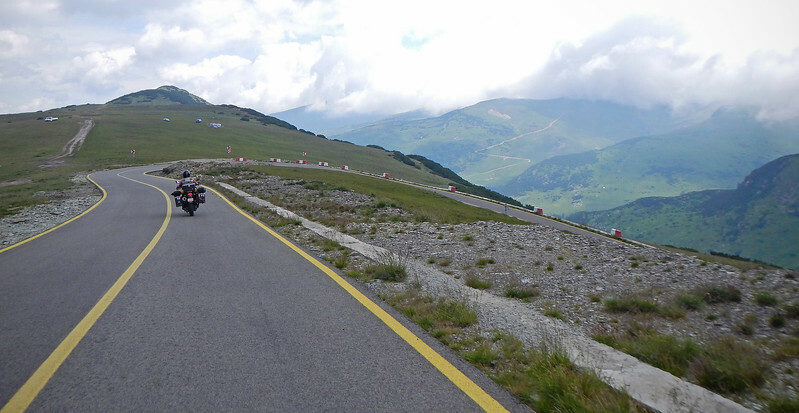 But we couldn't really appreciate either the roads or the scenery, I was worried about my front brake the entire time. 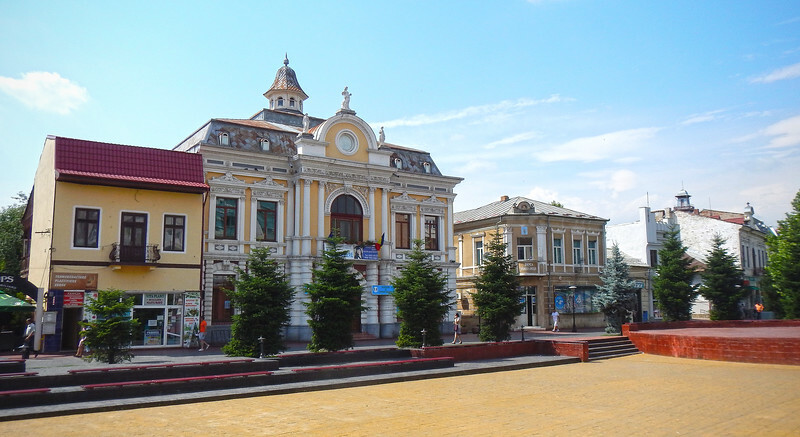 I'm quite a big hit here in Victoria, Romania! 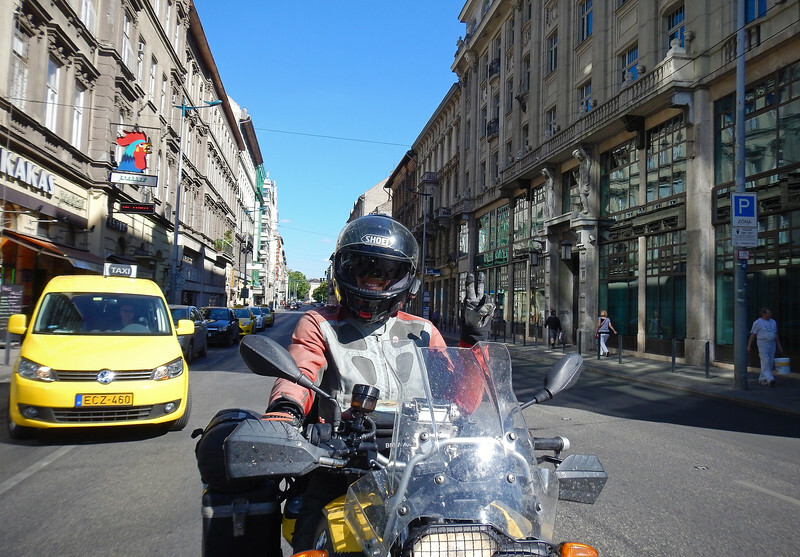 The guy to the right of me, Horaţiu, spoke really good English. We talked for quite a while outside the store before Neda came out to join us. Really friendly bunch of guys! We said our goodbyes as the light was getting scarce and we still had to find a place to sleep. Finally a clearing! And a very decent-looking place. There were a bunch of people having a barbecue and we were invited to join, but we had already bought our groceries for dinner. We met a few people staying at the lodge that evening. I would have liked to have been more social, but my mind was pre-occupied with trying to fix my bike. I excused myself from the party and spent time on the Internet trying to diagnose the problem. In the bright light of the next morning, I haul my bike out into the middle of the backyard and proceed to dig into the front brake lever. So my research on the Internet pointed to a switch at the brake lever. There's a piston that pushes that switch which activates the brake light. It also activates the servo motors that BMW uses for the brakes on this model of my bike. It makes a horrible whining noise and the guys around me ask, "Is that normal?" Yes. It's like when people gather around a Ducati and point out the rattling noise coming out of the dry clutch, "I think your bike is broken..."
A small allen key can be used to adjust the point when the brake light switch gets activated. However, I just can't seem to get it right. I turn it all the way out and then all the way back in but the light is either always on, or always off. So I disassemble the whole lever to see if I can re-seat the switch. No joy. The two other guys take their turn but we all have no luck fixing my bike. We all come to the consensus that the switch is broken. At least I know now that it's just the switch and not the brakes. I adjust the front brake switch so that the light is always off. I'll just make sure to use my rear brake to trip the brake light when stopping or slowing. I always use both brakes anyway, so it shouldn't be a big deal. We spend the rest of the morning talking to Dan and Cristina. They're a great couple from Bucharest. 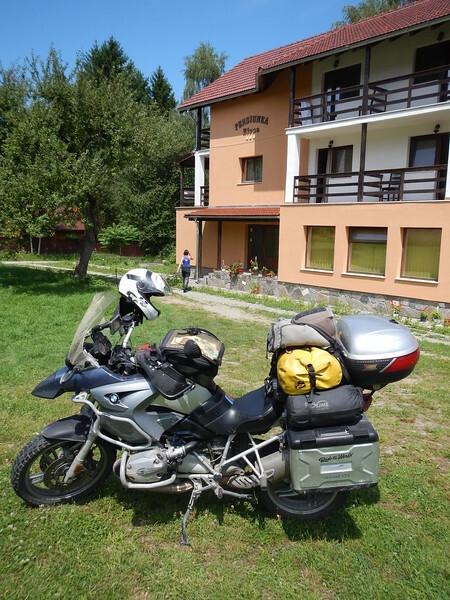 Like most city people, they head up here into the Carpathian mountains for weekend trips to hike and bike out in nature's playgarden. He showed me his green KTM bicycle! Cool! 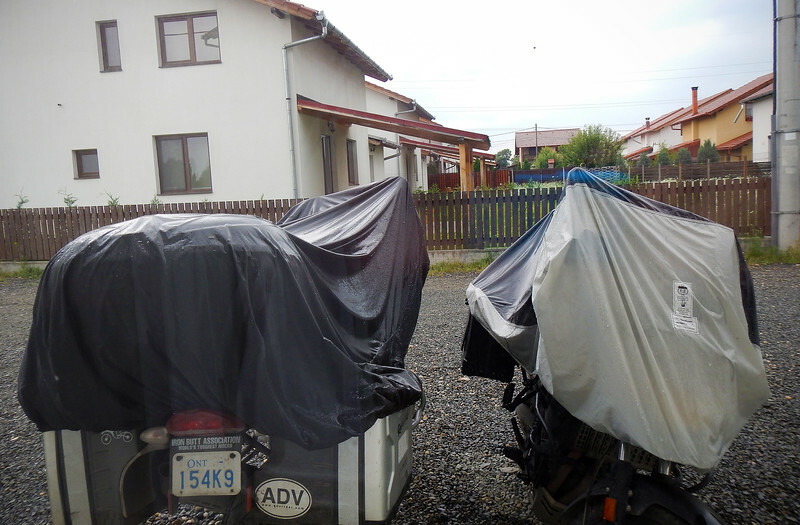 Before they left to hit the hiking trails for the day, Dan gave me his contact information should we decide to turn backwards to Bucharest to get my brake light switch fixed. I thanked him, but I think we're going to keep forging ahead towards Croatia. We have a date on the calendar to make. We're also feeling a bit fatigued from all the constant travel and now all the troubleshooting as well. We're going to take a rest day here. Neda found a really nice apartment (again hitting our target of €20/night). Another reason we are staying in. Rain is in the forecast for the day. Okay, time to play in the mountains again! We hop back on the bikes after our short break. I take the lead because I've disabled my front brake light switch and if I forget to tap the rear brake, at least Neda will know not to run into the back of me. 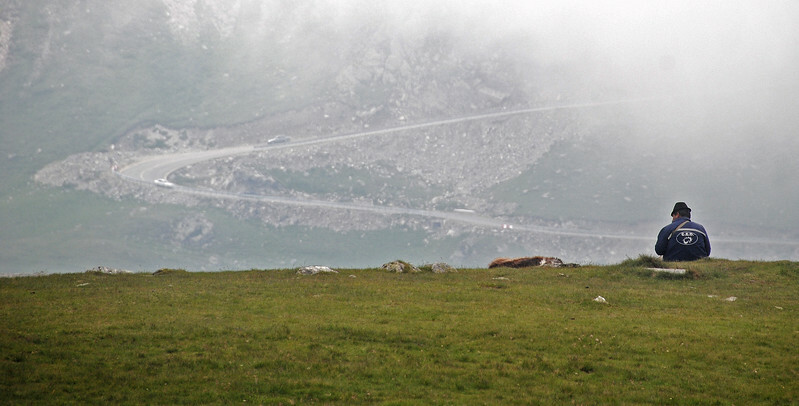 The Transalpina Highway runs parallel to the Transfăgărășan, exactly 100 kms to the west. 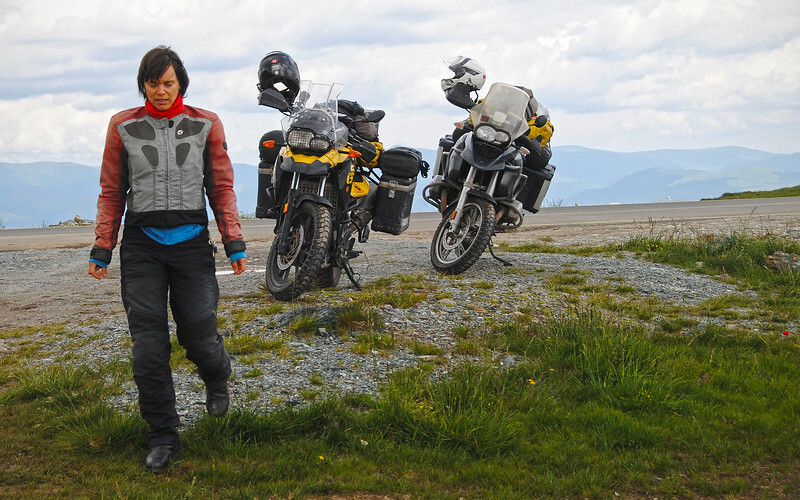 It's the Transfăgărășan's younger sister, not as popular with the moto-journalists and TV programs, but not without her own charms. 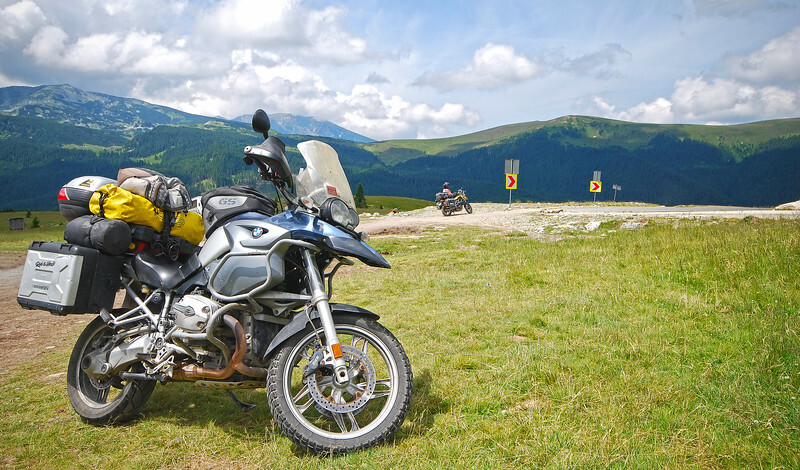 If you're in the area to ride the Transfăgărășan, there's absolutely no reason to skip the Transalpina. Fluffy clouds remain high above us, a remnant from yesterday's rains as we ride up to the summit of the Parâng mountain range. 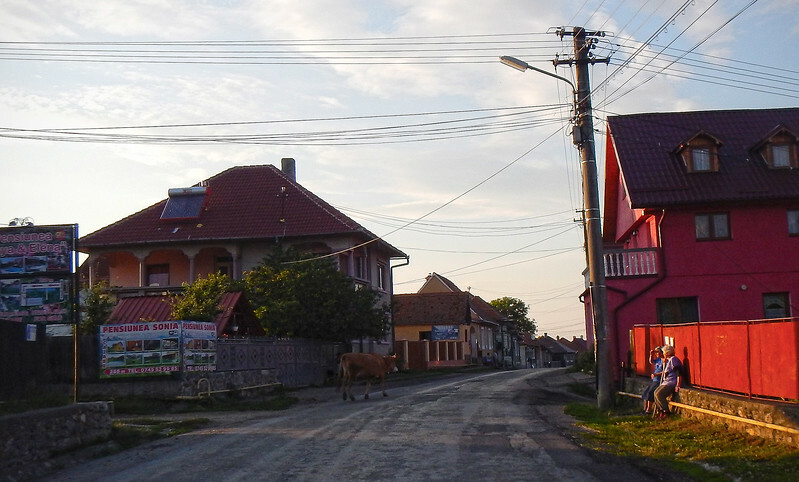 The scenery is like a toned down version of the Făgărăș mountains, not as dramatic, more rolling hills than daunting peaks. Way less traffic as well, which we like. 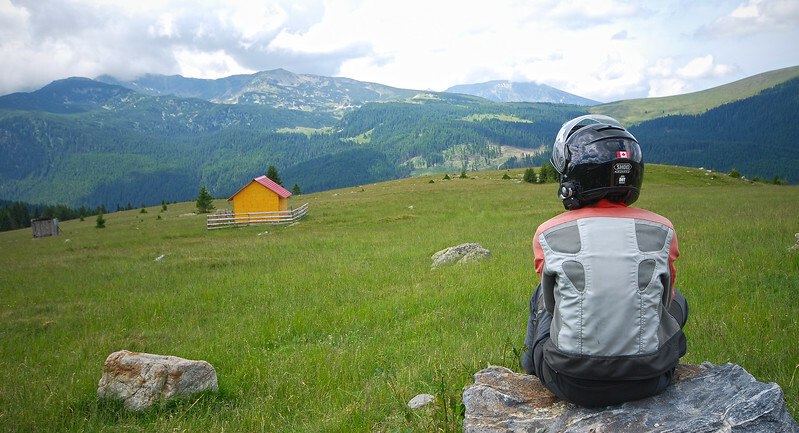 Contemplation-time amongst the mountains of the Southern Carpathians: "I wish he'd use his rear brake more..."
Bikes love being up here. So do we! 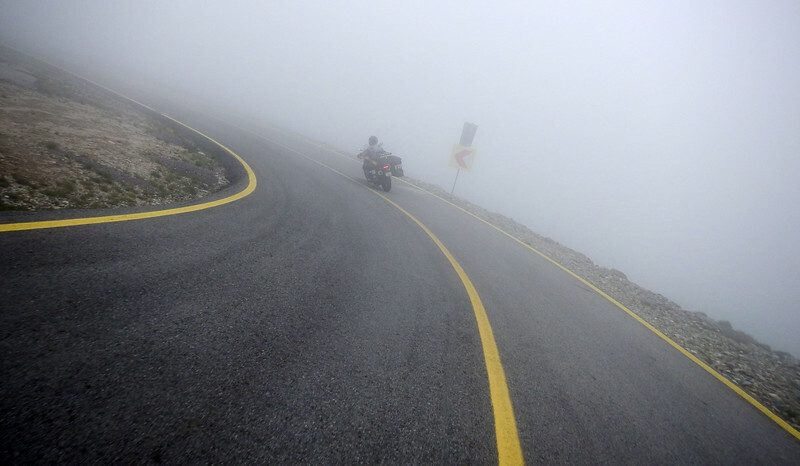 The further we get up to the peaks, the foggier it gets, as we ride into the clouds that envelop the summit of the mountaintops. The temperature steadily drops and when we reach the top, we have to don some extra layers to get some heat back into our bones. We also take the opportunity to walk around. 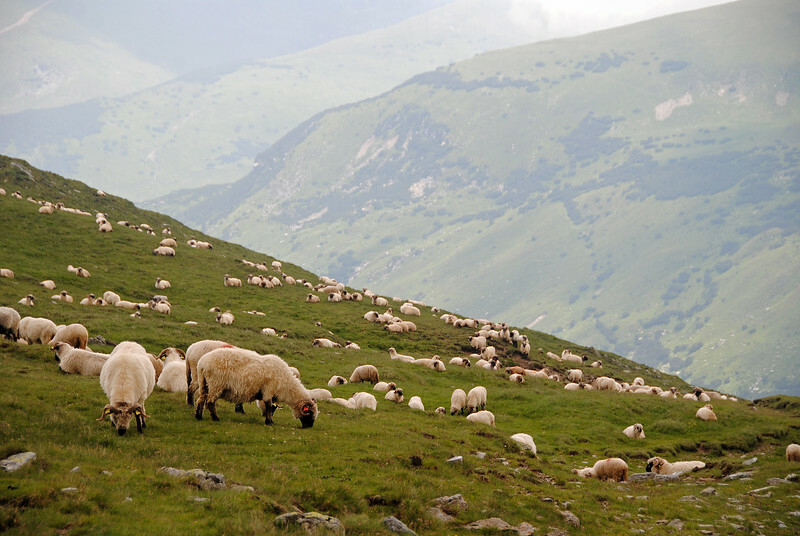 Sheep crawl all over the fields up here, grazing to their heart's content. We have to dodge the poop all over the ground! The traffic is sparse enough that I let Neda go ahead of me. That way she doesn't have to worry about running into the back of my bike and I can take some riding pictures! 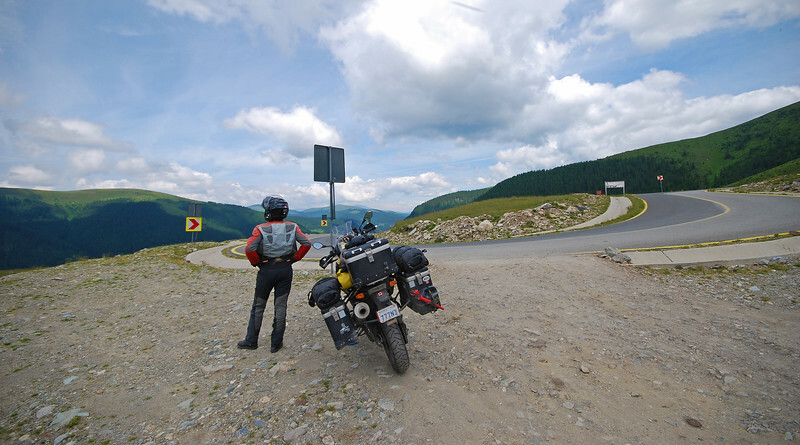 This turned out to be a good idea, because the southern section of the Transalpina is where all the fun is at. See the map above for a closeup of the road-reverie! Whohooo! Enjoying the twists and turns! Can't see. Better slow down. 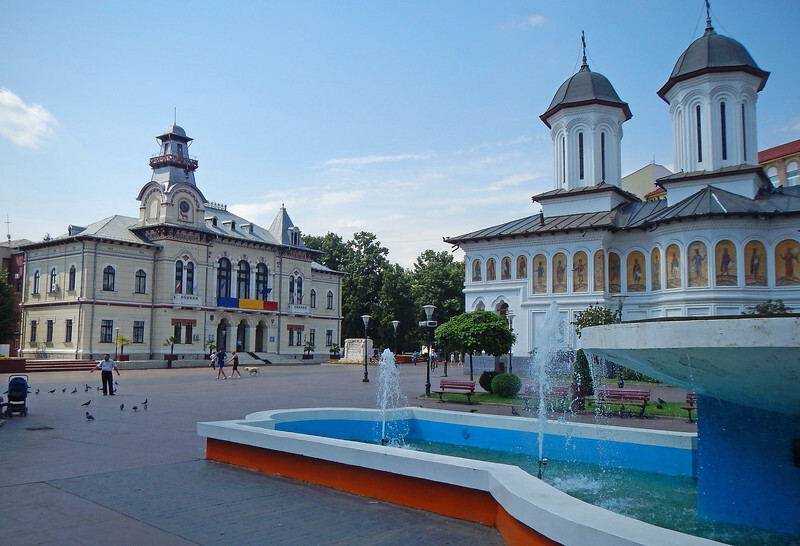 With the Carpathian Mountains done, we stop at Târgu Jiu, the city at the base of the Transalpina highway, for lunch. We need to be in Pula in a few days. 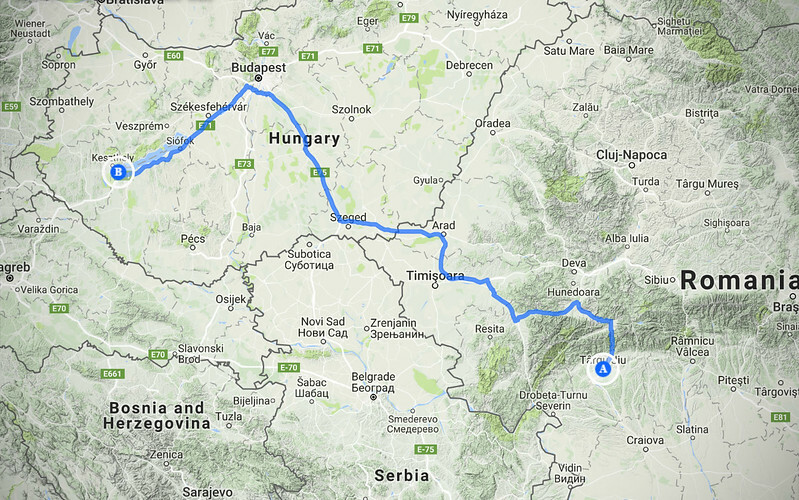 Rather than take the shortest route to Croatia, we make a little detour up to Hungary and then back down into Croatia to bypass Serbia. 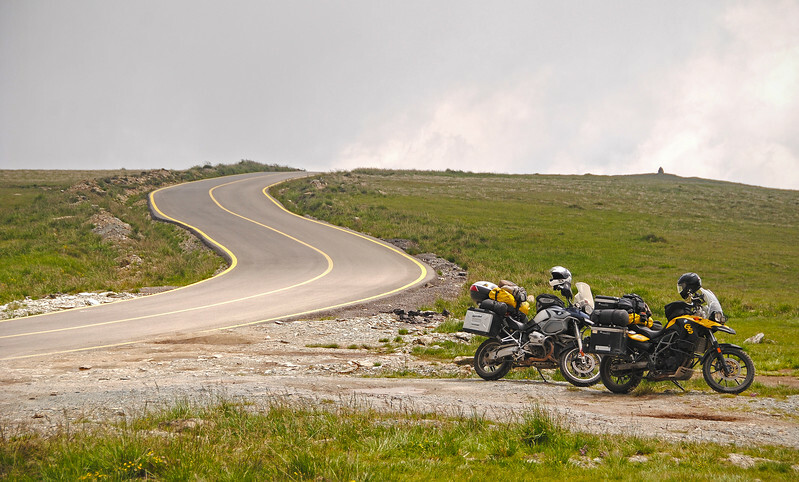 That way we don't have to pay for a 14-day vehicle insurance slip when we're just passing through. 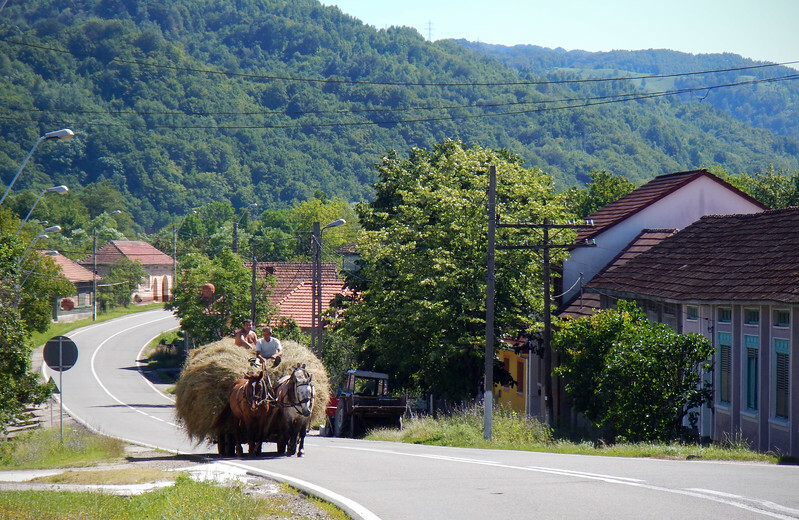 We definitely want to visit Serbia, but it'll have to wait for another day, when we can properly do it justice instead of just rushing through it. 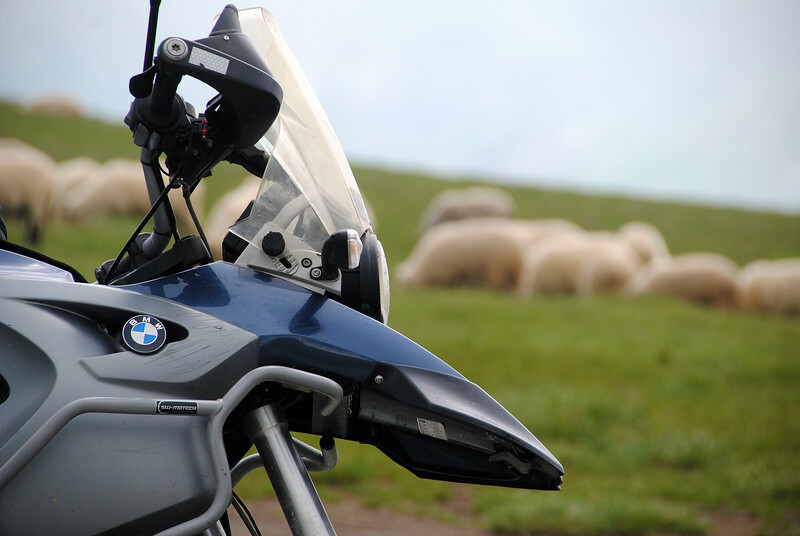 They're on a motorcycle trip on their brand new R1200GS, all the way up to the Nordkapp! We spent quite a while at the gas station exchanging stories. This is their honeymoon vacation! 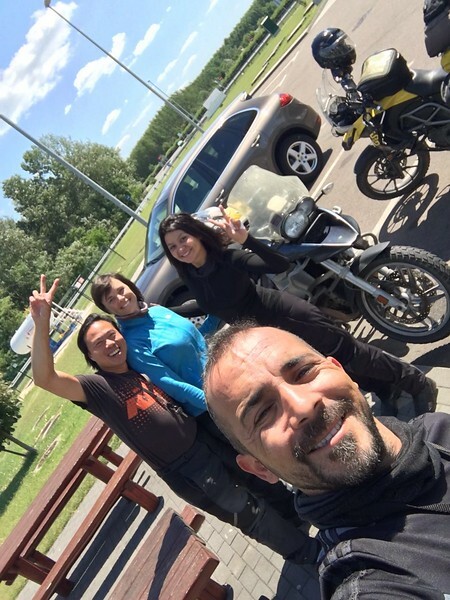 We've met a few folks from Turkey so far on this trip and they've all been such genuine and friendly people. Orhan and Dilya gave us their address in Alanya and told us that we could stay with them if we come to visit Turkey. So generous! I don't know where Alanya is, but I have a feeling that we're going to be seeing it sometime in the future! I love the highway system in Europe. You can cover so much ground in very little time. 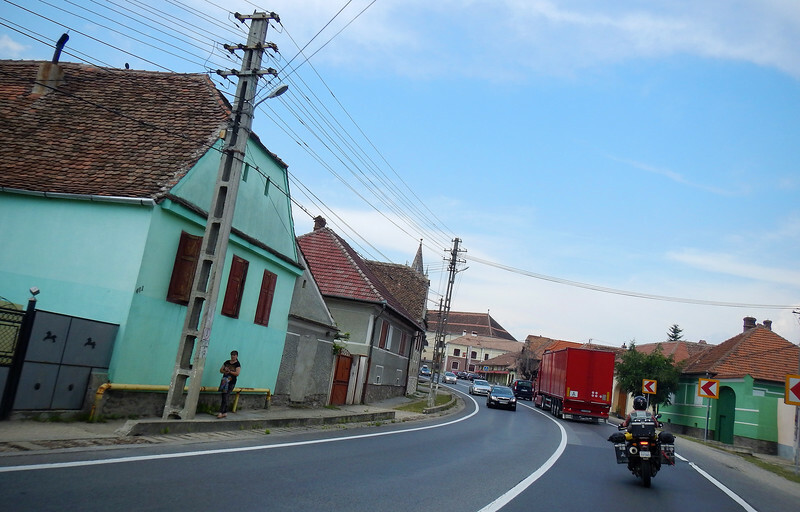 We are closing in on the Hungary/Croatia border and we stop for another gas/food break. 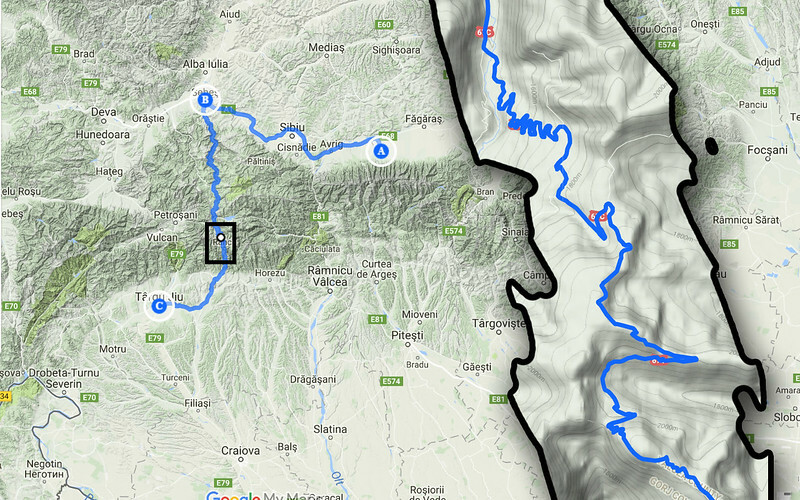 When we climb back on the motorcycles after lunch for the final push to the border, Neda's bike fails to start. But the place only had one Yuasa left, the kind the factory installs on the bike. They also carried a cheaper Italian brand that was compatible, but we heard that those don't last very long. So we bought one anyway and put it in Neda's bike. This should make an interesting future blog entry. So this is that future blog entry... I hate it when I can predict the future. We have ignition! It's a healthy start, which means that it's definitely just a dead battery. 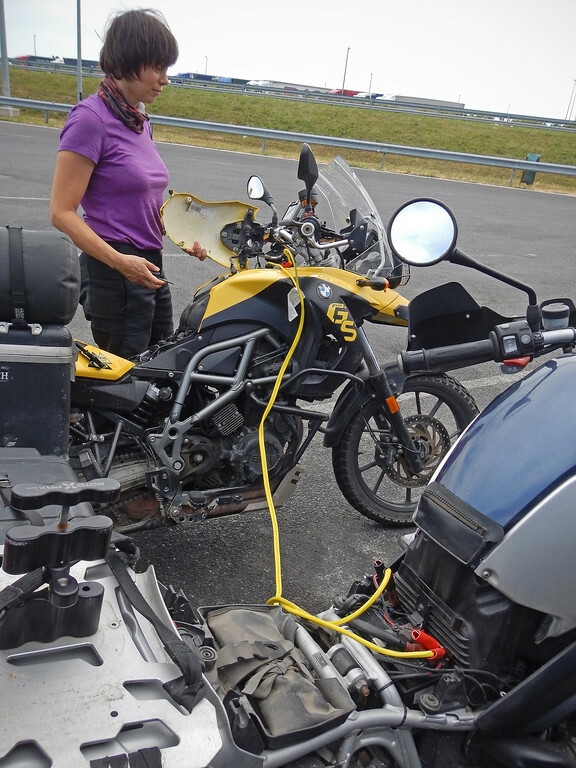 I told Neda to keep it running for a while to give the stator some time to charge the battery up a bit before we head out. But before I could finish my sentence the bike dies again. Another jumpstart, then cables disconnected. This time I leave the throttle half-cocked for a minute or two to try to get some higher voltage flowing into the battery. Keeping the revs up, I tell Neda to jump on and do some laps in the parking lot just to keep the bike running above idle. We need to make sure her bike won't die on the highway. I watch her do a couple of circles around the lot and then the bike cuts out. The battery is just not holding a charge. Crap! This is our second bike breakdown in less than four days. At least we're not at the top of a mountain range in the middle of nowhere. We need to be in Pula soon. So what are our options right now...?